Gypsymoon (minneapolis): It's a great book, the detailing is amazing and i would recommend it to anyone interested in learning to sew. 2001-04-03. New. Ships with Tracking Number! INTERNATIONAL WORLDWIDE Shipping available. Buy with confidence, excellent customer service! Readers Digest.. Hardcover. 0762104201 New Condition. . New. Reader's Digest. Hardcover. 1606522086 New Condition. . New. 2001-04-03. Good. Ships with Tracking Number! INTERNATIONAL WORLDWIDE Shipping available. May not contain Access Codes or Supplements. May be ex-library. Shipping & Handling by region. Buy with confidence, excellent customer service! Reader's Digest. Hardcover. 1606522086 . New. Readers Digest, 2002-10-24. Hardcover. Used:Good. Reader's Digest. Hardcover. 1606522086 Remainder mark . Fine. Reader's Digest. Hardcover. 1606522086 . Fine. Readers Digest.. Hardcover. 0762104201 Like New Condition. . Fine. Readers Digest, 2010-11-11. Hardcover. Good. Readers Digest.. Hardcover. 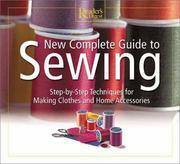 0762104201 This is a hardcover book with dust jacket. . New. Reader's Digest. Hardcover. 1606522086 BRAND NEW, GIFT QUALITY! NOT OVERSTOCKS OR MARKED UP REMAINDERS! DIRECT FROM THE PUBLISHER! . New. Reader's Digest. Hardcover. 1606522086 *BRAND NEW* Ships Same Day or Next! . New. Reader's Digest. Hardcover. 1606522086 *LIKE NEW* Ships Same Day or Next! . Fine. Readers Digest, 2002-10-24. Hardcover. Good. Readers Digest. Used - Very Good. Very Good condition. Very Good dust jacket.